Has your family heard of the Warburtons brand? Are you looking for that special ingredient that is missing from your meals? A few weeks ago Maxwell and I were not very well. We both had colds and felt horrible but we were soon cheered up when a large parcel arrived. We opened the parcel and were amazed to see a huge hamper sent to us by Warburtons. We were sent Warburtons sandwich thins, Warburtons Seeded bread, Warburtons half and half square wraps and Warburtons sandwich pittas. Maxwell and I digged into the seeded bread first. We had toast for breakfast and we both enjoyed it. I lightly toasted the bead and buttered it. I was a bit worried that Maxwell would not enjoy it as he is used to white bread which is unseeded but he loved it. I like to see Maxwell try new foods and it looked like he really enjoyed trying the new textures. Ben joined us for lunch and we dug into some delicious bacon sandwiches. We used the sandwich thins and the sandwiches tasted delicious. The sandwich thins are a thinner type of bread and are a smaller shape compared to regular bread. 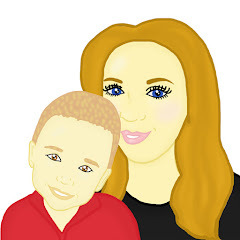 I thought they were the perfect size for Maxwell and I would love to continue to use them in the future. For dinner Ben and I used the sandwich pittas to make some chilli chicken pittas. They tasted divine and we really enjoyed our meal. We stuffed the pittas with chicken and salad and we were impressed by the quality. Normally when I buy pittas they fall apart however this was not the case they held well even though they were full to the brim. The next day for lunch we tucked into the square wraps. I have been a fan of eating chicken wraps since I was smaller. I eat them normally for lunch and I find they are rather filling. My favorite is Cajun chicken. When making the wraps I found that they were easier to roll than the normal round shaped wraps you are able to buy as they were square they were also easy to fold. 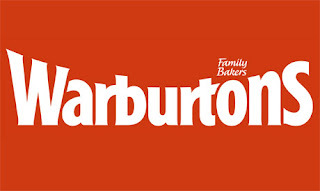 You can visit Warburtons website to check their amazing breakfast range. You can also follow Warburtons on Twitter and become a fan of Warburtons on Facebook. The Sandwich Thins look fab. I think I need to buy some of them when I go shopping.